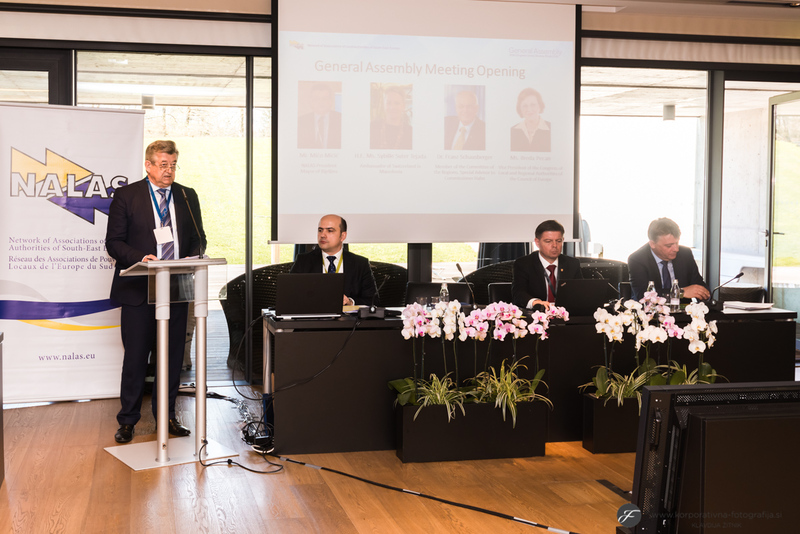 Over 70 representatives of local governments and local government associations from the whole South-East Europe (SEE) met in the Brdo Congress Centre on 18 April 2018 for the 13th General Assembly of their umbrella organisation, NALAS. Mr. Mićo Mićić, Mayor of the City of Bijeljina and current President of NALAS, H.E. Ms. Sybille Suter Tejada, Ambassador of Switzerland in Macedonia, Dr. Franz Schausberger, Member of the Committee of the Regions and Special Advisor to Commissioner Hahn and Ms. Breda Pecan, Vice President of the Congress of Local and Regional Authorities of the Council of Europe took the floor in the opening and provided their key note speeches. “The year that passed between the last General Assembly in Vienna and today we have been able to bring back the attention of the EU Commission to the Balkans, the EU Integration and Enlargement process and the important role of local governments in the bottom up approach to development“, said Mr. Micic. “8000 local authorities NALAS represents, are looking upon us in these challenging times, truly wanting to be part of solutions instead of problems as commonly perceived“. H.E. Ms. Sybille Suter Tejada, Ambassador of Switzerland in Macedonia said: “Switzerland considers decentralization as one of the main pillars of democracy and we strongly support decentralization process in the South-East Europe as well as in other parts of the world. We see NALAS as an important strategic partner in empowering strong Local Government Associations in SEE who, in our view, are the most important promoters and safeguards of local democracy. In this context, I am pleased to inform you that Switzerland has committed support to NALAS’ new Strategic Plan which sets up priorities of the national Associations in terms of promoting local economic development and building resilient communities”. 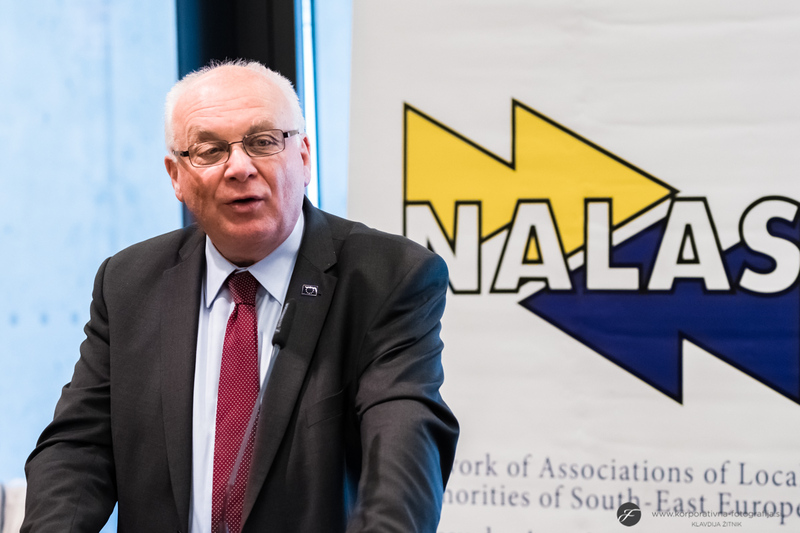 Dr. Schausberger spoke about the important role NALAS plays in representing the local governments of South-East Europe and express appreciation for NALAS’ contribution on behalf of the European Commission and the Committee of the Regions. “The role of regional and local authorities is very important because broad public support for enlargement is only achievable if it is explained to the whole society by the grassroot level. For this to be possible, we need local authorities and first and the foremost the Mayors”, said Dr. Schausberger. “The European Commission now openly requests for a balance between central, regional and local authorities when it comes to participation and role in the enlargement process”. 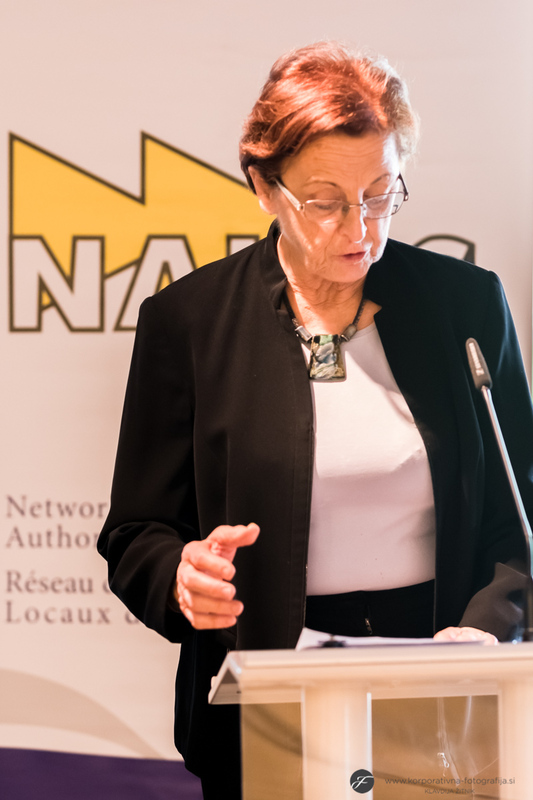 “My participation has become a good tradition indeed, much as the longstanding tradition of the Congress support to your Network and close cooperation with NALAS and associations”, said Ms. Pecan, emphasising NALAS’ role as the voice of local authorities’ associations in the region. “The Congress has always supported and will continue to support this mission of your Network, which is a network both for and by associations of local authorities – geared towards serving their needs, and driven by their interests as defined by the associations themselves, driven by their energy and dynamism. We want to see you continue on this path, and grow in strength and efficiency to rise to the challenges of today, much as you successfully responded to the problems of the past. Rest assured that the Congress will remain with you on this journey”, Concluded Ms. Pecan. 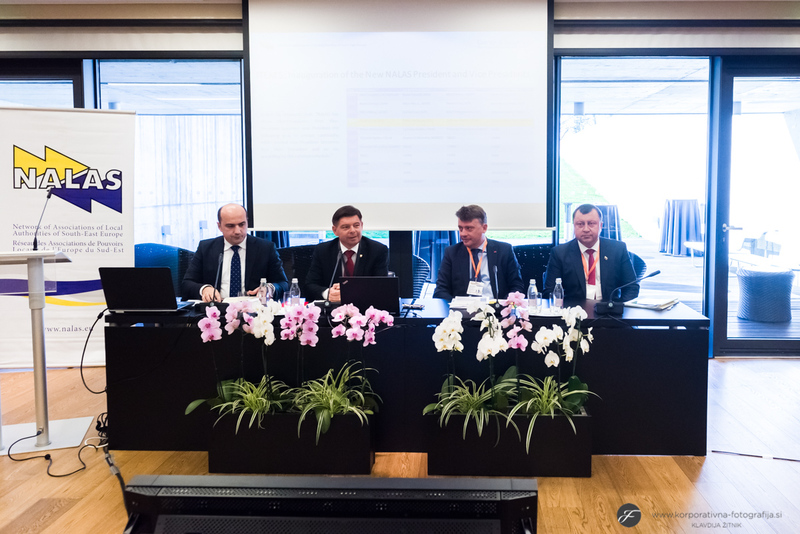 Delegates reviewed NALAS work in 2017, approved the work plan for 2018 and discussed policy issues related to the EU Enlargement Strategy, NALAS representation and advocacy role and the role of local governments in refugee and migration crisis. 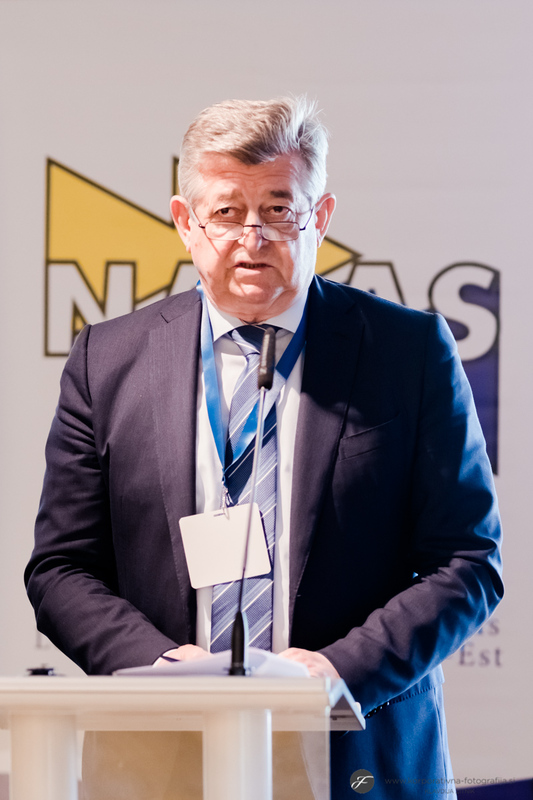 Based on the rotation presidency system, Mr. Darko Fras, Mayor of Sveta Trojca, Slovenia, was appointed a new NALAS President, who will lead the Network in the next year. 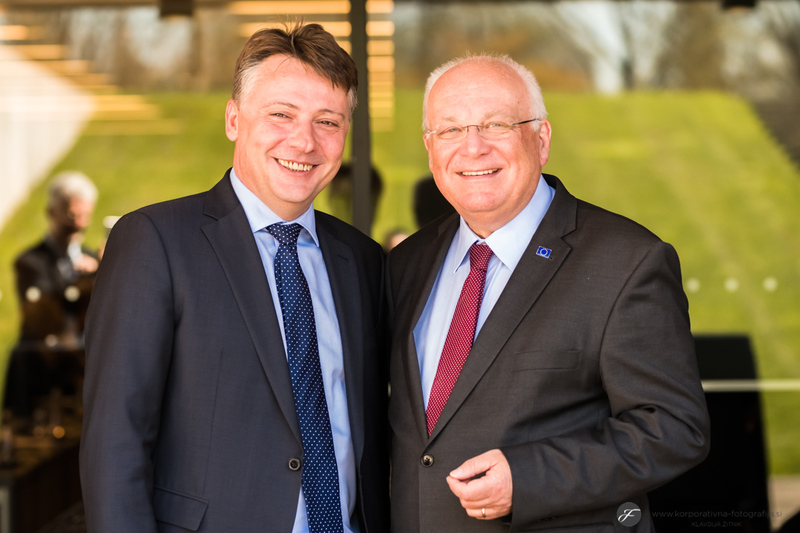 “I am sure that the President is nothing without the team, the member Associations and their Presidents and staff”, said Mayor Fras after his inauguration. “I understand that there are many open issues, but as someone rightly said today I strongly believe that networking and exchange create a great opportunity to overcome these issues”. 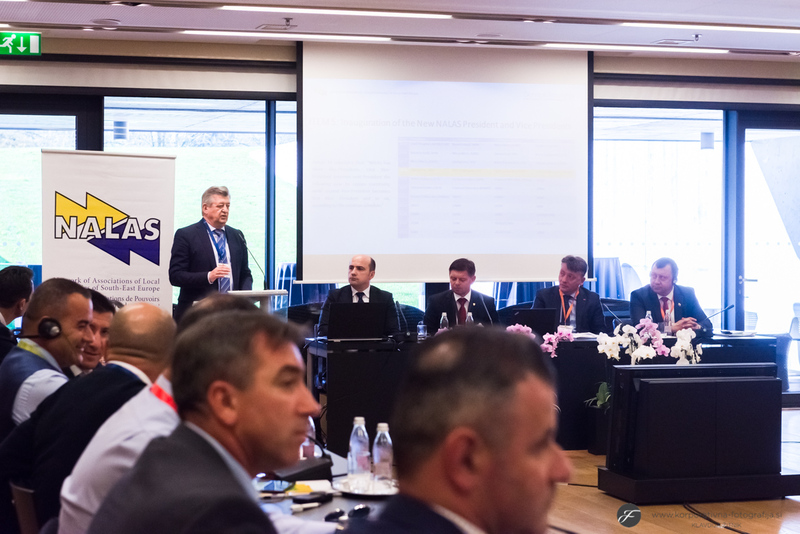 Mr. Petre Shilegov, Mayor of Skopje, Macedonia, became the First NALAS Vice President, Ms. Tatiana Badan, Mayor of Selemet Municipality, Moldova, became the Second NALAS Vice President, while Mr. Emanuil Manolov, Mayor of Pavlikeni, Bulgaria became the Third NALAS Vice President. “It was my pleasure to chair such an important Network, where many ideas are born and implemented. I am a richer man after this experience”, said Mayor Micic. 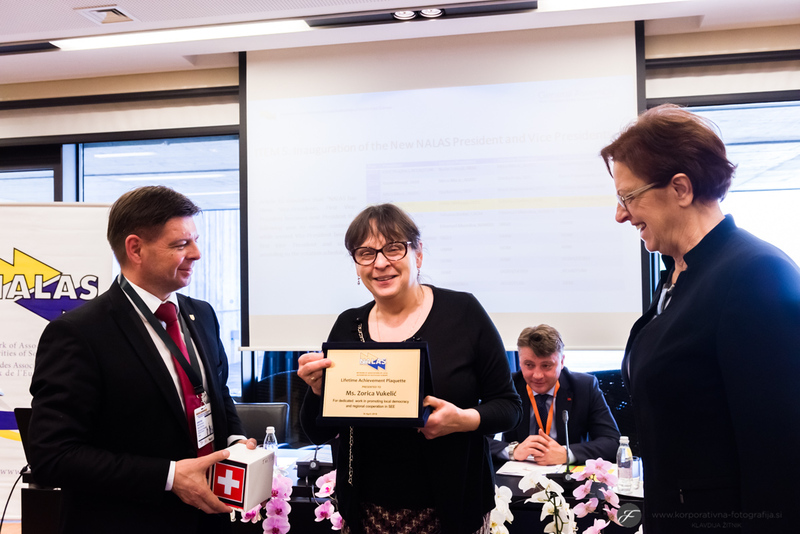 Ms. Guinka Chavdarova, from the National Association of Municipalities in the Republic of Bulgaria and Ms. Zorica Vukelic from the Standing Conference of Towns and Municipalities in Serbia received recognitions for their lifelong contribution to NALAS. “Thank you for all your cooperation. 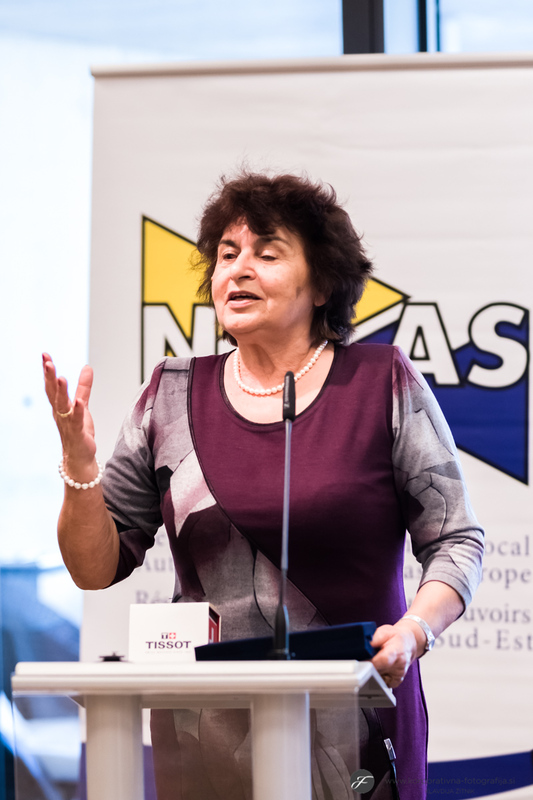 You must continue supporting NALAS, it is really a unique organisation that contributes a lot for the local government in this region”, said Ms. Chavdarova. “I will put this plague in the best place in my house. Thank you for all these 10 years of cooperation, good times and exchanges. I leave NALAS strong and in the right track towards the EU. 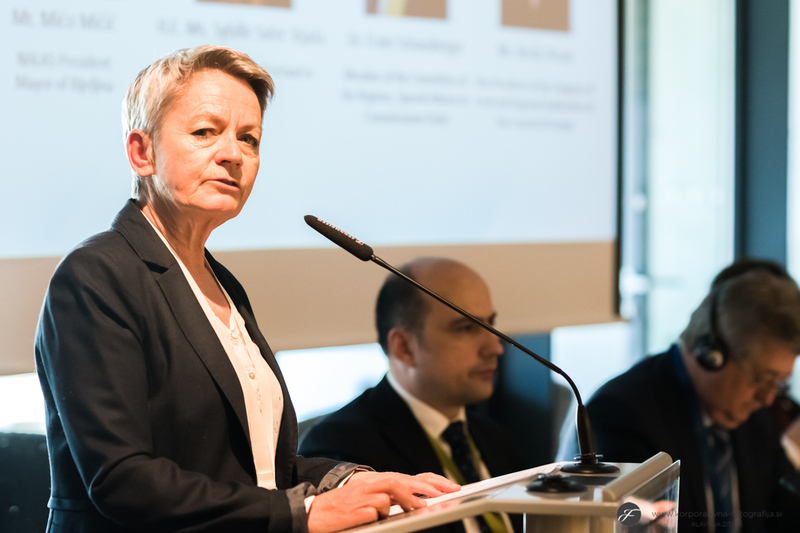 The work we have done sets great basis for future successes”, said Ms. Vukelic.